Clean Air Strategy: Use the correct fuel! As with all appliances, you need to ensure that you follow the correct guidelines in order to make sure that it lasts it’s life span and beyond. Stoves and chimneys are no different. Just as in a car, if you put the wrong, or poor grade fuel or oil in, it will affect the running of it and deteriorate other parts of it. More importantly, this also effects the warranty of not only the stove, but the chimney system as well. For a wood burning stove, only the best quality wood is needed. This is to maximise it’s efficiency, as well as making sure that it’s environmentally efficient in line with the Clean Air Strategy. Wood is carbon neutral, which in simple terms means that trees are replanted for every one torn down for wood supplies or construction. You can source wood in bulk for a good discount, but you need to be aware about its moisture content, as it needs to be seasoned wood. This means it needs to be dry for a considerable period of time – up to a year, or even more, depending on the type of wood. Be wary when purchasing logs in bulk as the moisture content can vary and be negligible. 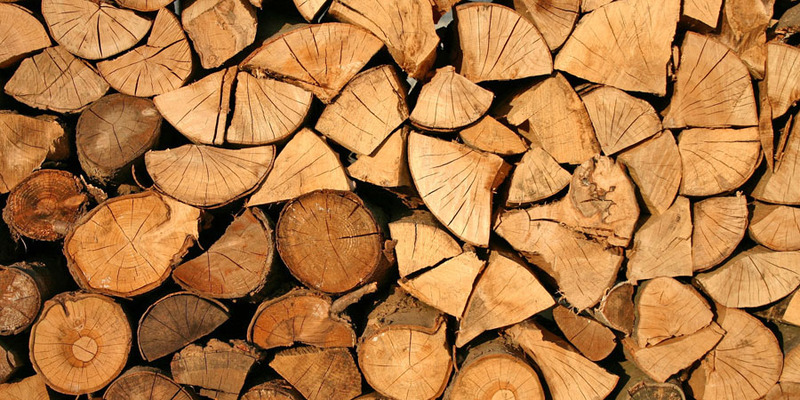 Preference is for kiln dried logs, which are more efficient, with a moisture content less than 20%. It’s worth the effort, as using dried logs means less are needed to provide the same amount of heat than more heavy moisture logs. Less wood is burnt, therefore reducing emissions as well as less storage needed. Moisture content in wood should be below 25% and there are moisture meters on the market to measure this. The reading should be taken from the core of a split log not the outer surface as this can mislead the user around the actual moisture contained in the log. 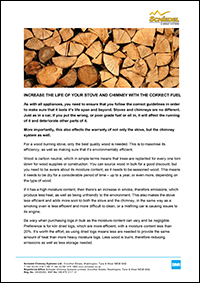 No waste wood with paint, chemicals or other coatings should be burnt as this will lead to a build up of tar in the chimney as well as releasing other volatile chemicals which through the burn process become acidic and damage the surface of the steel liner ultimately resulting in holes being formed in the liner and product failure. Softer wood burns quicker, so hard wood is the better option. In simple terms, you would need two soft wood logs for one hard wood log. Wood purchased in bulk and by weight means that you could be paying for water. Always purchase wood by the amount of pieces. 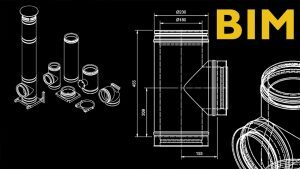 Wood briquettes are another option. They are made up of dry, untreated wood chips. They are pressed together with no binding agent to hamper the burn ability and are very efficient. There are two recommended schemes to ensure wood quality: Woodsure Plus and ENplus. It’s recommended to source wood which adheres to these schemes. Don’t stack them directly on the floor, but on an elevated ventilated grid. Following these simple guidelines ensures that your stove and chimney remain in excellent condition and fully follow the warranty guidelines. Plus, it ensures that you are following all the environmental guidelines.